As demand for poultry meat increases in Botswana there are a number of broiler units in the country scaling up to ensure there is enough supply to keep supermarkets and butchers shelves well stocked. Poultry World reports. One of the larger poultry producers in Botswana is Bobbsie’s Chickens based in the east at Tshesebe close to Francistown and has been in operation since 1999. This particular farm, owned by Gerald Sanders, runs a full scale production system right through from taking in day old chicks to fattening them and then slaughtering them in the on-site abattoir. From there the meat is butchered into the various cuts, or left whole, then packaged and delivered to local stores, supermarkets and butchers every single day of the week. The farm has four different housing sites, each with 12 houses and a capacity of 11,200 birds, and produces around 40,000 birds ready for market each week. The general manager of the poultry farm, Gerhard van der Merwe, is responsible for the day to day running of the entire unit and explained how the production system works. “It’s a fairly straight forward system we operate here at Bobbsie’s Chickens and a very effective one,” he said. “We mainly use the Ross and Cobb breeds here and are killing chickens when they are around 33 days old or sometimes a bit older at 36 to 37 days old. “The houses themselves are all using open ventilation with curtains on the sides allowing us to control the temperature inside the houses. Chicks are placed into the houses which are freshly bedded with shavings and have a fresh supply of water and feed waiting on them.” Temperatures in this area of Botswana can reach 40°C in the summer time so the staff at Bobbsie’s must monitor the heat inside the houses at all times. Mr van der Merwe added: “We maintain a temperature of 32°C in the houses for the new chicks and then start to decrease that as the birds get older. Our staff also turn the shavings at least once per day to keep it dry and free from ammonia. “Here in the east of Botswana the temperatures stretch from a low of 10°C in the winter time to around 40°C in the summer time so we have to monitor the birds for heat stress continuously. “Our birds are white in colour which also acts as a natural cooling tool against the excessive outside temperatures here. “There is normally a cooling breeze coming in from the south so we build the houses in this direction to make the most of this natural tool,” he said. When the temperatures dip in the winter time the staff light coal fire burners placed in the centre of each house to ensure a comfortable environment for the birds. Mr van der Merwe added: “In the winter time we use coal burners placed in each house to increase the temperature within each house. These are simply metal burners filled with coal that act as a good central heating system for all the houses. “The birds are kept away from the fires by ring fencing around them to prevent them getting too close,” he said. The farm also runs a strict biosecurity system using closed fences, vehicle sprays, foot dips and by allocating the same workers to each house. 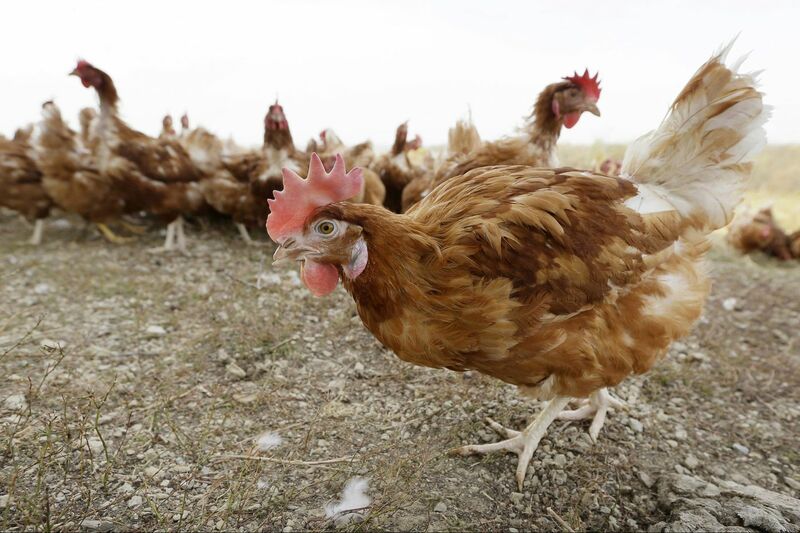 While bird flu has never been identified in Botswana, both poultry farmers and the agricultural authorities are keeping a close look out for symptoms. The Botswana government has in the past banned imports of poultry meat from neighbouring South Africa and Zimbabwe in a bid to keep the disease out. “We try to keep all our houses bird proof to prevent any contact with wild birds and thus reducing the threat of bird flu,” said Mr van der Merwe. “There are no trees near the chicken houses where wild birds could rest and the staff are always on the lookout for water leaks. “Our farm is disease free and we vaccinate against Newcastle Disease. The nearest neighbouring poultry unit is around 40 kilometres away so we are well isolated here. “Botswana is bird flu free but there are many cases in neighbouring Zimbabwe and South Africa so we have to be on our guard at all times,” he added. The company also runs a sister operation of a similar size in Gaborone called Goodwill Chickens, which supplies poultry meat to the south while Bobbsie’s Chickens supply the north east region including Palapye and as far as Mahalapye. According to Mr van der Merwe the biggest challenge to the business is rising input costs mostly referring to feed costs as this has to be imported from South Africa. “We employ 250 staff at each of our two premises,” he said. “This is a significant cost but as we cannot really grow any grain around here we have to ship all the feedstuffs in a distance of 500 kilometres from South Africa.” With regular price drops in beef due to disease issues, the demand for chicken can increase quite abruptly and often there is not much difference in the price of the two meats. Poultry meat retails in the stores around 26.50 Botswana Pulas (£1.89, € 2.20) per kilogram. When the chickens are ready the staff catch them manually for slaughter and each house then goes through a resting period to give them time to recover before the next crop. “The houses have eight weeks downtime between the cycles after being thoroughly cleaned out and disinfected,” said Mr van der Merwe “This gives us optimum conditions in which to rear the next batch of chicks and so the entire process starts again. “We are also embarking on a programme to renew the chicken houses as they become old. The older ones will be replaced at some point with more modern buildings but will still adhere to the same system as we use now as it works well,” he said. Seabee Ndjengua on 17th January gathering carcasses on Halifax Island. Lüderitz — Ministry of Fisheries and Marine Resources scientists found 27 penguins dead and three sick birds showing symptoms of Bird flu, even with the efforts from the ministry to control the spread of the virus. The scientists continue to take necessary measures to contain the infection as well as prevent further spreading by collecting and burning dead carcasses, isolating sick birds showing symptoms as well as disinfecting wet areas around the colonies where most dead birds have been found. The wet areas were disinfected by spreading salts on the mud pools at the colonies and covering it up with beach sand. The fisheries biologist under the Seabirds and Offshore Islands Section, Desmond Tom, indicated that a virologist from University of Namibia is willing to do DNA sequencing for viral genomics, discovery and evolution with the assistance of veterinarians from SANCCOB, Cape Town, South Africa. He said they are continuing to put salt and isolation of sick ones from healthy penguins to control the spread of the virus, as the virus needs to run its course, as there is no vaccine for it. The ministry of fisheries’ officers started visiting the Island weekly after the swab samples collected on penguins last year at Halifax Island in Lüderitz and tested by the Central Veterinary Laboratory, tested positive of Avian Influenza H5N8. Avian influenza refers to infection of birds with Avian Influenza Type A virus. It occurs naturally among wild birds worldwide and can infect domestic poultry and other bird species. The H5N8 virus Type A cannot survive brine (salty) conditions. The officials pay regular visits if possible (once per week) to the island and repeat these procedures to avoid further spreading of the virus. They also carry biosecurity measures on the island, on board the research vessel (RV Anichab) and at the Seabird Rehabilitation Facility to avoid further spreading of the highly pathogenic virus. The report indicated the death of penguins on Halifax Island was discovered mid December 2018 to date. More than 500 penguins, mostly adults have been reported dead even though chicks and juveniles are also affected. Halifax Island is situated about 10 kilometres west of Lüderitz near Diaz Point, about 100 metres off the mainland. It is the second most important breeding site for African penguins and is home to about 7 000 penguins that contribute to the entire population of about 26 000 penguins in Namibia. The African penguins are endangered seabirds in Namibia and they are endemic to Namibia and South Africa. Jasper HamillThursday 21 Feb 2019 12:37 pm Share this article via facebookShare this article via twitterShare this article via messenger You’ve heard of bird flu, but the next epidemic to hit Earth and kill a lot of humans could come from bats. That’s the warning from scientists who fear the creepy flying mammals could be ‘reservoirs for a new type of influenza virus’ which has the potential to ‘attack the cells of humans and livestock’. Researchers from the University of Zurich have warned that bat flu viruses can mutate so they pose a risk of infection to humans. This process is called zoonotic transmission and ‘at worst can lead to a global influenza pandemic with numerous serious illnesses and deaths’. Could bats spark a pandemic which sweeps the world? (Picture: Shutterstock) And in case you’re not scared enough already, bats are already known to be carriers of Ebola. ‘Such an infection has not yet been observed. However, our findings show that the viruses generally have this zoonotic potential,’ said Silke Stertz from the university’s Institute of Medical Virology. In 1918, a Spanish flu epidemic infected 500 million people around the world and killed between 50 and 100 million. If a similar pandemic hit the modern world, millions of people could die. Tedros Adhanom, chief of the World Health Organization, warned in February last year that humanity is ‘vulnerable’ to a pandemic. The Cabinet Office already lists pandemic influenza as the biggest threat on the UK’s Risk Register – placing it ahead of terrorism and cyber-attacks. WALVIS BAY – The Ministry of Fisheries and Marine Resources says samples collected from hundreds of dead penguins tested by the Central Veterinary Laboratory tested positive for Avian Influenza H5N8, a type of bird flu. This follows after about 250 dead penguins were discovered late December on Halifax Island situated about 10 kilometres from Luderitz. According to a press statement issued by the public relations officer of the ministry, De Wet Siluka, this specific strain of bird flu normally occurs naturally among wild aquatic birds worldwide and can infect domestic poultry and other birds or animal species as well. However, it does not normally infect humans. Siluka said the ministry of fisheries has already taken precautionary measures and will continue to contain the infection to prevent further spreading. “Such measures include regular visits to collect dead carcasses, isolating the sick birds and disinfecting wet areas around the colonies, and chemicals as the virus cannot survive in salt water,” he assured members of the public. The infected birds will not usually get sick but can spread the contagious virus that can even kill certain domestic bird species including chickens and turkeys. “Infected birds shed the virus through their saliva, nasal secretion and faeces. Healthy birds can contract the virus by coming in contact with contaminated services. However the good thing is that the virus cannot survive in salt water,” he said. Halifax is situated about 10 kilometres west of Luderitz and is located about 100 metres off the mainland. It is the third most important breeding site for African penguins and home to about 2 500 that contribute to the entire Namibian population of 26 000 penguins. Other seabirds such as the crowned cormorants, swift terns and Hartlaub’s gulls also breed on this island. Senior fisheries biologist, Desmond Tom, told New Era yesterday that humans are not at risk, however they can spread the virus to other animals if they get into contact with infected animals. “The good thing however is that the island is currently non-accessible to people apart from fisheries officials,” he said. Wildlife enthusiasts were appalled to see the cormorants dying in huge numbers at Kasavanahalli Lake where at least 50 to 60 birds have reportedly died in three days. A large number of Indian cormorants, a variety of fish-eating birds, have been found dead in the past three days at one of the lakes in Bengaluru, according to environmentalists. Wildlife enthusiasts were appalled to see the cormorants dying in huge numbers at Kasavanahalli Lake where at least 50 to 60 birds have reportedly died in three days. A large number of the birds have died, a local lake protection group member L Sreenivas said Saturday. “We are not sure what the reasons are,” he said. The lake protection group members contacted civic authorities, who sent a veterinary doctor to ascertain the cause of death. “We are also not sure what killed these birds. Our veterinary doctor will collect the sample and would submit a report soon,” said P Jagannath Rao, deputy conservator of forest (lake division). Initially, the local groups suspected the involvement of a fish contractor, who might have poisoned the birds. It was, however, ruled out as the fish were in good health. The other possibilities could be avian bird flu or the cyanobacteria bloom in the lake. Bengaluru lakes have been in the news for wrong reasons due to high contamination. The largest among all the water bodies in Bengaluru, the Bellandur lake has been in the limelight for catching fire due to the high level of non-biodegradable chemicals, as well as heavy metals. Despite the National Green Tribunal’s direction to the civic agencies, the water quality of Bellandur lake and water bodies upstream have not improved much, according to officials. In Victoria Park, an elderly man, visibly annoyed, spits a mouthful of water at a flock of feeding pigeons. The man, who declined to give his name, then takes a fresh mouthful of water before launching another attack on the birds. Inez says this outburst is relatively mild, adding that she has seen people pour boiling water over pigeons. She and Gian run “Hong Kong Pigeon and Dove Rescue”, a Facebook group dedicated to promoting awareness for the well-being of pigeons, and which teaches members how to nurse sick birds back to health. It was this loss that inspired Gian and Inez, both in their 30s and who prefer to be mentioned only by their first names, to start the Facebook group. With the help of a few like-minded friends, in one year, the group has developed into a community of more than 1,100 members. “There aren’t many locally available pigeon care resources and providers, unlike those for cats and dogs,” says Gian, a self-taught pigeon rescuer. For many Hongkongers, like those in the park, what they are doing is unthinkable. “Pigeons are filthy!” Leung Iok-lam, 70, says. “Or making a sick pigeon sicker,” Lim Chi-ling adds. Gian and Inez however, believe pigeons are the victims of misconceptions. What happened to the birds in Hong Kong when Typhoon Mangkhut hit? 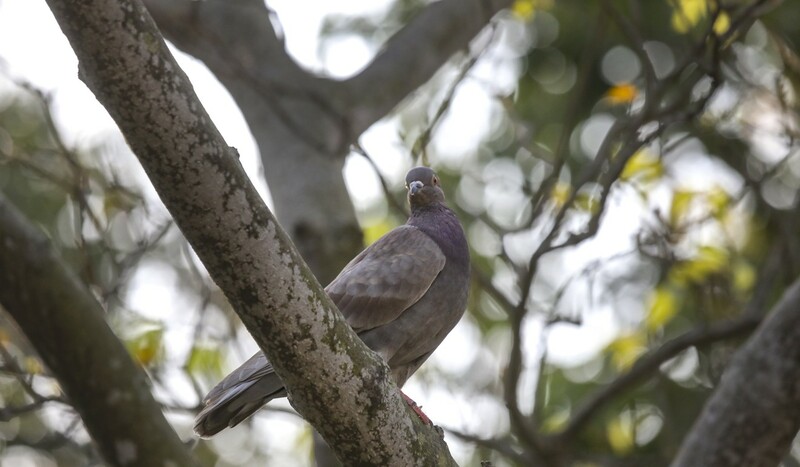 “Many people automatically associate pigeons with avian flu, partly because of public health campaigns,” says Gian, referring to government regulations that forbid feeding feral pigeons to prevent the spread of so-called “bird diseases”. The regulations were introduced in 2003 as part of the government’s efforts to slow the growth of feral bird populations, which authorities claimed were a public nuisance and the cause of hygiene problems. Offenders face fines of HK$1,500 (US$191). However, according to findings by the World Health Organisation (WHO) from 2002, comparative studies involving pigeons and other bird species showed pigeons were resistant or minimally susceptible to coming down with bird flu. Subsequent studies on pigeons sampled in China, Japan, Turkey, Romania and Ukraine suggest that pigeons have played a minimal role in the spread of the H5N1 avian flu virus, which emerged in 2004. Still, the WHO cautioned against unnecessary close contact with pigeons, citing other studies that demonstrate an increased susceptibility of pigeons to the H5N1 strain. Gian and Inez, who have cared for more than 100 sick or injured pigeons over the past four years, say they have never contracted diseases from the birds, despite not using gloves, surgical masks and other protective gear when handling them. 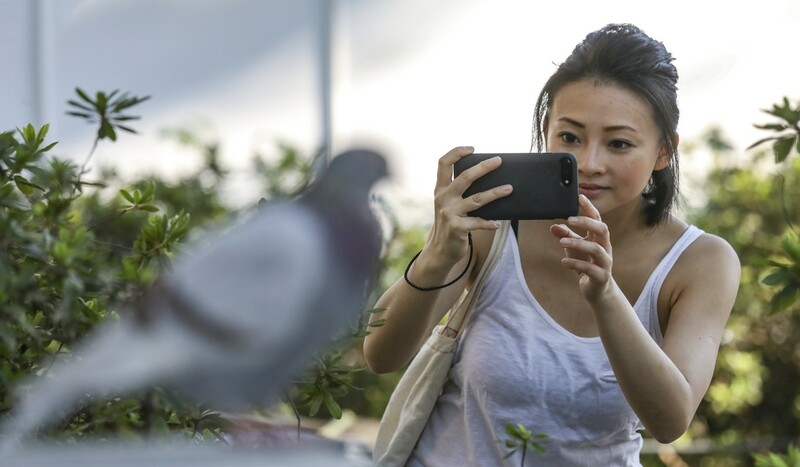 The sisters believe the government’s persistent warnings have created an unwarranted fear of pigeons among many Hongkongers, including even animal health care workers. “One time, I took a pigeon to the vet to get an X-ray – and it was returned to me with a broken leg,” says Inez. She suspects the medical staff, whom she says were reluctant to handle the bird , broke the leg during the scan. In Hong Kong, premises where more than 20 pigeons are bred, housed, or cared for require a licence. Gian has had to rent a second flat to accommodate her work. Her retail career, which requires shift work, means dedicating time to the pigeons can sometimes be difficult. “When you really believe in something, you’ll do whatever it takes to do it right,” she says. Looking ahead, the Facebook group hopes to involve more experts and professionals from relevant fields to conduct research on the impact of pigeons on public health and the environment, and potentially propose changes to legislation and education – for example, designating feeding zones and implementing measures to control the pigeon population. There are plenty of security threats that could keep a former homeland security advisor awake. There is the possibility of a terrorist attack, a cyber-cataclysm, or any number of natural disasters—all threats that are capable of visiting destruction on entire communities in a matter of hours. Right at the top of that list is the threat of a deadly pandemic—an outbreak of infectious disease that rapidly crosses international borders. In January 2017, while one of us was serving as a homeland security advisor to outgoing President Barack Obama, a deadly pandemic was among the scenarios that the outgoing and incoming U.S. Cabinet officials discussed in a daylong exercise that focused on honing interagency coordination and rapid federal response to potential crises. The exercise is an important element of the preparations during transitions between administrations, and it seemed things were off to a good start with a commitment to continuity and a focus on biodefense, preparedness, and the Global Health Security Agenda—an initiative begun by the Obama administration to help build health security capacity in the most critically at-risk countries around the world and to prevent the spread of infectious disease. But that commitment was short-lived. Pandemic disease is arguably one of the greatest threats to global stability and security. But investments to contend with such outbreaks have declined to their lowest levels since the height of the Ebola response in 2014, with U.S. federal dollars cut by over 50 percent from those peak levels.The prevailing laissez-faire attitude toward funding pandemic preparedness within President Donald Trump’s White House is creating new vulnerabilities in the health infrastructure of the United States and leaving the world with critical gaps to contend with when the next global outbreak of infectious disease hits. The investments made after the 2014 Ebola crisis have been slashed in recent proposed federal budgets from the Centers for Disease Control, the agency that works to stop deadly diseases in their tracks, and the U.S. Agency for International Development, which responds to international disasters, including the Ebola outbreak. Moreover, Timothy Ziemer, the top White House official in charge of pandemic preparedness, has left his job, and the biosecurity office he ran was summarily disbanded. This lack of focus and relative decline in funding is dangerous, given the steady stream of global reports suggesting that transmission of potentially deadly zoonotic diseases, where pathogens move from animals to humans, is rising at an alarming rate. Some attribute this to climate change, with warmer climates everywhere extending the life cycles of mosquito-borne diseases and allowing them to reach higher altitudes and more temperate latitudes. This means that viral diseases such as Zika, dengue fever, and the West Nile virus are transmittable across a larger geographical area later into the year. As a result, in 2018, it is impossible to reconcile the redirection of funds away from preparing for pandemics with these realities on the ground. Ebola, the quintessential zoonotic killer, has risen again, now in the Democratic Republic of the Congo, with World Health Organization officials describing the outbreak as on the “precipice” of a potential spread to neighboring countries. While this year’s response was far more rapid and effective than responses to prior outbreaks in Africa, cases continue to rise in hard-to-reach places with little health care infrastructure near Congo’s borders with Rwanda and Uganda, prompting fears of regional spread. Perhaps most terrifying, difficult to treat and highly fatal strains of H7N9 avian influenza are spreading throughout China. This strain of bird flu causes rapid respiratory illness with associated multiorgan dysfunction that’s easily spread by a small droplet. That’s why it’s so difficult to control and why recurrent epidemics continue to crop up: There have been five epidemics of H7N9 since 2013 in China alone, the most recent between the fall of 2016 and fall of 2017. Across these epidemics, among the 1,565 confirmed cases, about 40 percent of infected individuals died.That is a staggering number that should frighten us all—particularly given that China, unlike other resource-limited states in Asia, has at least some capability to rapidly respond to emerging crises through its own Center for Disease Control and Prevention, which can deploy critical care and other public health emergency services. Consider that it takes only one infected carrier of bird flu to escape screening or detection at a train station or airport to transform a local health crisis into a global pandemic. As there are over 60 nonstop flights between China and the United States daily, with an estimated total of 30,000 passengers traveling between the two countries each day, this possibility is more than a remote and existential threat. Transmission of bird flu to the United States is just a flight away, which is why durable investments in the Global Health Security Agenda are so important, allowing the U.S. government to address deadly pathogen transmission early and hopefully to do so before it reaches U.S. shores. The WHO has tried to increase attention and enhance preparedness by strongly supporting the Joint External Evaluation, an assessment of each country’s capabilities in preventing, detecting, and responding to a potential outbreak. According to the first analyses of these results, global readiness to combat the next pandemic is broadly lacking. The starkest finding was that nearly 90 percent of the core public health capacities regarded as essential to pandemic preparedness, across a broad cross-section of countries, are not sufficiently developed to cope with the next major outbreak. Serendipity has marked the distinguished career of Prof Robert Webster’s international fight against the deadly influenza virus. Similarly, coincidences will cause the next monster influenza epidemic, for which we are woefully unprepared, the former Otago researcher tells Bruce Munro. It is hard to believe that the erudite and engaging voice on the phone belongs to an 86-year-old. But there is no denying that renowned virologist Prof Robert Webster, on a call from his home in Memphis, Tennessee, was born in Balclutha, Otago, in 1932. Nor that the story he is recounting, of a surprising yet definitive moment in the battle against influenza, happened half a century ago, to him. “It started off, more or less, as a joke,” Prof Webster recalls. One day, in 1967, he and fellow future influenza expert, the late Dr Graeme Laver, were walking on a beach in New South Wales, Australia. Noticing numbers of dead muttonbirds (shearwaters) washed up on the shore, and knowing that terns had been killed by influenza in South Africa six years previous, they wondered aloud whether these birds too had died of the `flu. In the late-1960s, influenza, even though it had killed tens of millions of people worldwide in 1918 and had killed 1.5 million in Asia in 1957, still held many of its secrets. During the 1930s, it had been proven that influenza was not caused by a bacteria but a virus. Later, two different types of influenza virus were identified (The final count would be three, with a fourth proposed but as yet unproven). By mid-century, it was recognised that different strains of the virus made it difficult to create effective vaccines. The big question then was, did influenza pandemics occur because there were lots of different strains of the flu circulating in the human population or because humans were somehow being infected with various strains carried by animals? Profs Webster and Laver, then junior scientists in their mid-20s, pitched their muttonbird research idea to the head of the microbiology department at the Australian National University (ANU), but were rebuffed. So, they took it to someone at the World Health Organisation who they knew supported the theory that pigs were the source of human influenza pandemics. They received their funding. Then the ANU also came on board. During the next several years, the men, along with their families and other scientists, made seven trips to Great Barrier Reef islands to sample muttonbirds for the flu virus. “We generally spent the days swimming and snorkelling on the most fabulous coral reef in the world, harvesting fish and lobster for our meals. The evenings were spent doing the science,” Prof Webster says. Two significant discoveries were made. They found that some of the muttonbirds had indeed been infected with the influenza virus. They also discovered that harmless versions of influenza viruses could be carried by healthy birds, but that the same viruses could change and become killers. These were vital insights into the origins of pandemic flu viruses. But, as Prof Webster admits, they were breakthroughs born of a chance stroll on a beach that birthed an idea which was part serious scientific inquiry and part young men looking for excitement and fun. There was still a long way to go. 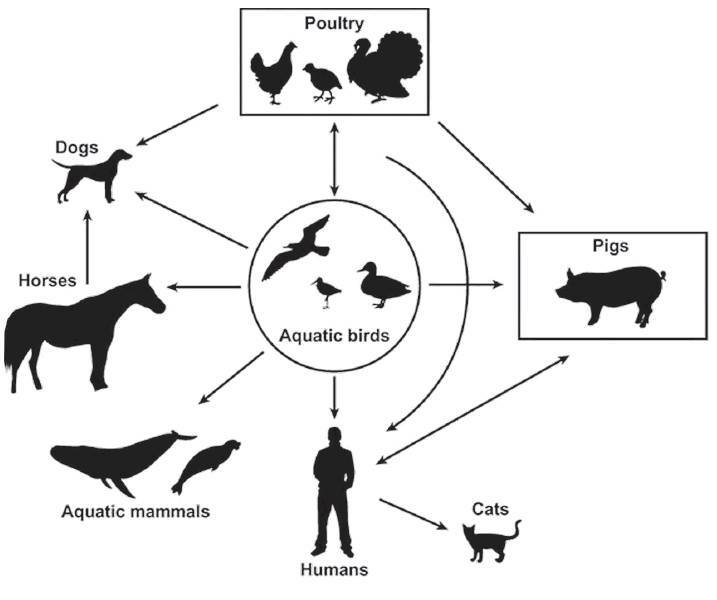 In the future lay breakthroughs (which Prof Webster would lead or contribute to) that would prove that wild aquatic birds are indeed a major reservoir of the viruses that become human pandemics and that the viruses can cause no trouble to the birds but become killers when they spread to other animals and humans. There would also be discoveries that would lead to the development of Tamiflu, still the world’s most effective treatment for people infected with influenza. All that lay ahead. But it was a start towards understanding and trying to prevent recurrence of the most deadly recorded human influenza pandemic, the 1918 Spanish Flu. Chance events, as much as deliberate decisions, shape history. THE Spanish Flu, which 100 years ago killed somewhere between 25 million and 100 million people, is an astonishing case in point. That particular virus was a nasty piece of work. Prof Webster, whose team took early steps towards others’ later successful attempts to decode it, describes how the 1918 flu attacked people. “A perfectly healthy young person … would develop a headache and muscle soreness, their body temperature would rise as high as 41.1degC and some people would become delirious. “The person would be so weak they would fall down; mahogany-coloured spots would appear on the face, which itself would turn blue or blackish from lack of oxygen; and the person would bleed from the ears and nose. The 1918 flu erupted on both sides of the battle lines in the dying stages of World War 1, probably brought to Europe by United States (US) soldiers infected with a less deadly strain of the flu. Why it became a monster killer comes down to the specific conditions the virus encountered in the mud and blood-filled trenches. Horrendous overcrowding and unbelievably unhygienic conditions allowed it to spread quickly. Chemical warfare, specifically gases that are known to cause mutations, enabled the virus to develop terrible qualities. Then, wartime secrecy allowed soldiers to carry it home and infect unsuspecting civilian populations worldwide. After Germany and its allies surrendered, negotiations were held in Paris, France, to determine how much reparation would have to be paid. US president Woodrow Wilson wanted Germany to be shown leniency. French president Georges Clemenceau wanted the Germans severely punished. Wilson threatened to walk out. But then he contracted the flu. He survived, but with a markedly changed personality. It is known that the virus did damage some sufferer’s brains, Prof Webster says. Suddenly, Woodrow gave in to all the French president’s demands. Germany was loaded with an enormous war debt. The ensuing economic hardship and resentment helped the rise of Adolf Hitler and Nazism. Without the 1918 flu, there might have been no World War 2. “I can’t guarantee it wouldn’t have occurred. But, I speculate that it wouldn’t have occurred,” Prof Webster says. He was 13 years old when World War 2 ended. A few years later, he left the family farm at Pukepito, near Balclutha, and enrolled at the University of Otago to study chemistry. But a lack of high school chemistry and a chance meeting with the head of the microbiology department saw him changing course. Fate stepped in again early in his post-graduate career. Interested in studying the rabbit-killing virus, myxomatosis, he applied to a relevant research laboratory at ANU. But, the day he arrived, he was told the research group was full and he was being put in a group studying influenza. He was far from happy. But, other than resign, there was nothing he could do about it. He readily agrees that coincidences have played a big role in his life and career. By the early-1970s, Prof Webster was living in the US, working in the departments of microbiology and immunology at St Jude Children’s Research Hospital, in Memphis. In 1975, the hospital became a World Health Organisation influenza research collaboration centre. The same year, with his reputation rising, Prof Webster was invited to take part in a joint American-Soviet influenza research programme. He was made a Fellow of the Royal Society of London in 1989, was recognised by the US National Academy of Sciences nine years later and made a Fellow of the Royal Society of New Zealand, in 1990. At Christmas time, in 1997, he was in the thick of it when the first human outbreak of H5N1, bird flu, took place in Hong Kong. People were catching the virus from infected poultry in the city’s more than 1000, crowded, live-bird markets . At one point, 30% of those getting sick were dying. Prof Webster, and the international team of young scientists he had trained, played a vital role in identifying the virus. He was part of the advisory group that called for all live poultry in Hong Kong to be culled. As a result, there were no more human cases of H5N1 at that time. In 2005, Prof Webster established the Webster Family Chair in Viral Pathogenesis, at the University of Otago. The next year, the Smithsonian Institute, in an article about him, dubbed Prof Webster “the Flu Hunter” for his significant, decades-long contribution to understanding and fighting influenza. Now in his ninth decade, Prof Webster, still based at St Jude Hospital, continues to travel, research, write and speak on the flu virus. His gravest fear is that an influenza pandemic on the scale of the 1918 flu is not a matter of “if”, but “when”. In that catastrophic eventuality, he predicts chance will once again play a decisive hand. All of the distinctive qualities that made the 1918 flu so deadly are out there, but scattered among different viruses, he says. And nature is continually “shuffling the deck” – viruses are always mutating. All it needs, he says, is the right combination of factors to allow viruses to come together, share genetic material, hit the jackpot and proliferate. A combo such as that presented by the hajj; the annual Muslim pilgrimage to Mecca, in Saudi Arabia. Every year, more than three million people from dozens of countries congregate in the 400m by 800m, Great Mosque of Mecca during the final month of the Muslim lunar year. What about hot spots such as the Rohingya refugee camps, on the border of Bangladesh and Myanmar, where camps of more than 600,000 people are crowded together in often squalid conditions? His efforts to monitor and mitigate influenza’s deadly potential continue. Flu Hunter: Unlocking the secrets of a virus, by Robert G. Webster, published by Otago University Press, will be launched mid-September. He is encouraging the development of more drugs to tackle flu. But there are now some drugs in the pipeline, from Japan, that are looking hopeful, he says. Prof Webster is also keeping a keen eye on the search for a universal vaccine that would be effective against all strains of the virus. It is closer than the goal of producing flu-resistant pigs and poultry, but, at present, is still a “pipedream”, he says. He warns there are steps that could be taken, but which are not, that leave us globally vulnerable to another catastrophic flu virus. Crowded markets selling live chickens and ducks are the perfect breeding ground for new viruses that can be transmitted to humans and then develop human-to-human capabilities. “We have to get rid of those damned poultry markets. New Zealand may seem a long way from where a potent flu virus could emerge. But nowhere is more than one or two plane flights from anywhere on the globe. If a killer flu did start spreading, the WHO influenza network would kick into action to identify it and produce a vaccine. “But it would still take us six months to make a vaccine. What are we going to do in the meantime? The flu doesn’t stop. It gets on an aeroplane and it’s all over the world. “If the flu is a really hot one, it could take out millions of people before we could do a damned thing. “[Eventually], nature is going to shuffle the perfect hand. The most important trade war to come may have nothing to do with cars, steel or soybeans. It may involve a virus. The vast agricultural enterprise in southern China is the source of most new flu strains. Under rules established by the World Health Organization in 2011, China has routinely shared samples of them with researchers in the United States and other countries where vaccines are developed. But recent trade tensions may be leading it to change course. Influenza is a serious disease. The seasonal variety kills thousands of people worldwide each year. But its impact pales in comparison with pandemic flu. That is the kind that emerges every few years and spreads like wildfire around the globe, sometimes killing millions – as it did in 1918. Public health officials fear that a new flu pandemic may be on its way. A strain of bird flu known as H7N9 originated among poultry in China in 2013 and evolved into a form that can infect humans. It reportedly kills 40% of those who become ill. It has not yet spread beyond China and is not yet contagious from human to humans, with only about 1,600 reported casesso far. However, should it mutate into a form that can be spread between people, the threat could be worldwide. A vaccine against H7N9 could save thousands of lives – maybe millions. However, China is refusing to share virus samples despite repeated requests. It has even refused to share clinical data on infected patients. Information flowed freely soon after the strain first emerged, but it has slowed to a stop. Researchers have obtained a few samples from Taiwan and Hong Kong, but those may not be enough to develop a vaccine. China claims that it has almost eradicated the virus with a single poultry vaccination campaign, so further vaccine development is not needed. But public health experts are not reassured, since mutations are always possible. This is not the first time China has been secretive about a pandemic threat. In 2002, it hid information on SARS, and in 2005, it hoarded samples of a previous bird flu strain, H5N1. But until recently, it had been cooperating with the World Health Organization’s more recent rules on sharing flu strain samples. Why the sudden secretiveness? One possibility is that China is trying to avoid harm to its poultry industry. Another is that it is looking for a head-start over the U.S. and other countries in developing a vaccine on its own. However, the is also a strong possibility that it is responding to the brewing trade war with the U.S. Among the Chinese exports on which the U.S. has threatened to impose tariffs are pharmaceutical products, including vaccines, and other medical supplies. Virus samples seem to be part of the mix of products over which we are negotiating, even though no one actually owns them so tariffs should not apply. China may be waiting for the outcome of those talks before allowing virus samples out of the country. While the United States and China trade tariff threats, the risk grows that we will be unprepared if a pandemic arrives. The fight over bird flu samples is a game of chicken in more ways than one, and it could have lethal consequences. International trade is more than just an economic issue, as important as that is. It is also a matter of public health. Unless our trade policy recognizes that as a priority, a lot more may be at stake than the prices we pay for imported goods. Robert I. Field, JD, MPH, PhD, is professor of law and public health at Drexel University and is the founder and editor of the Health Cents blog. Hundreds of East Coast seals are showing up, stranded on New England shores dead or sick. Harbor and gray seals on the northern Atlantic Coast of the United States have tested positive for avian influenza, or bird flu, according to the National Oceanic and Atmospheric Administration’s fisheries. Others have tested positive for phocine distemper virus, similar to the virus dogs can contract and which has caused epidemics among seals in other parts of the world, killing thousands, according to the National Institutes of Health. Both gray and harbor seals can range as far south as the Carolinas, where they sometimes travel during the winter months and haul themselves onto beaches to rest and soak up some sun. The seals that end up stranded but alive are “in poor body condition with clinical signs of lethargy, coughing, sneezing and seizing,” according to NOAA. As of last week, 532 seals had washed up on the coasts of Maine, New Hampshire and Massachusetts. Of those, more than 400 were found dead. Samples from those seals were sent to Tufts University and the University of California, Davis labs for testing, NOAA said. Samples tested “preliminarily positive” for either bird flu or the distemper virus. Four of the seals tested positive for both viruses. “We have many more samples to process and analyze, so it is still too soon to determine if either or both of these viruses are the primary cause of the mortality event,” NOAA wrote in an announcement Aug. 23. Previous deaths of seals in the area also have been linked to both viruses, but the viruses have been present during years when there were not numerous deaths, according to NOAA. “If you see a new sick or injured seal, please call the NOAA hotline: 866-755-NOAA (6622). Please be patient, as the stranding response teams are very busy,” NOAA wrote. All marine mammals are protected under the Marine Mammal Protection Act. Megatron, a juvenile harbor seal, splashes around his rehabilitation pool at the National Aquarium in Baltimore. He was recently rescued from Bethany Beach, Del.